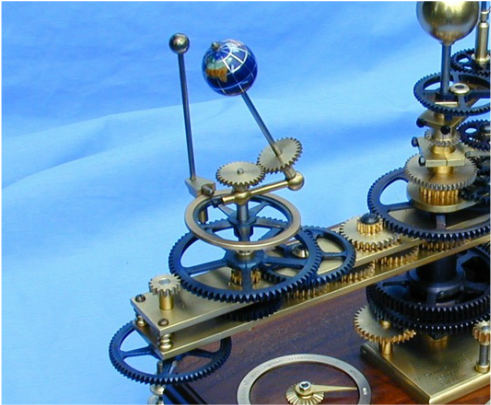 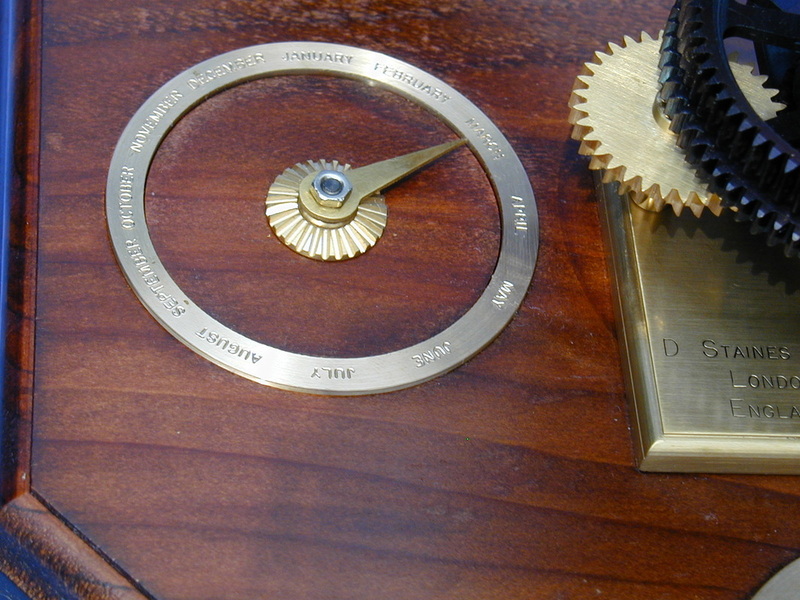 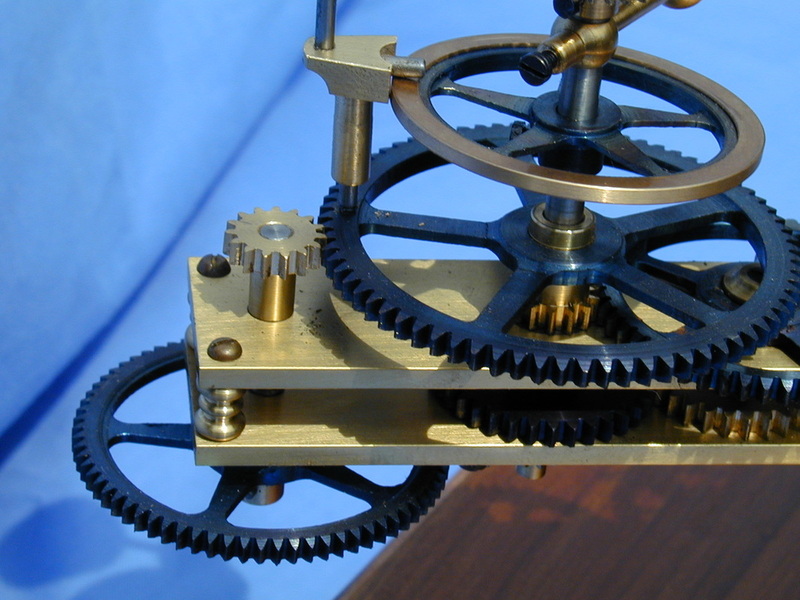 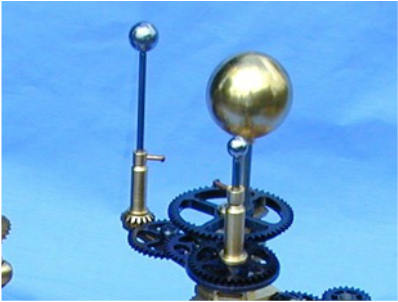 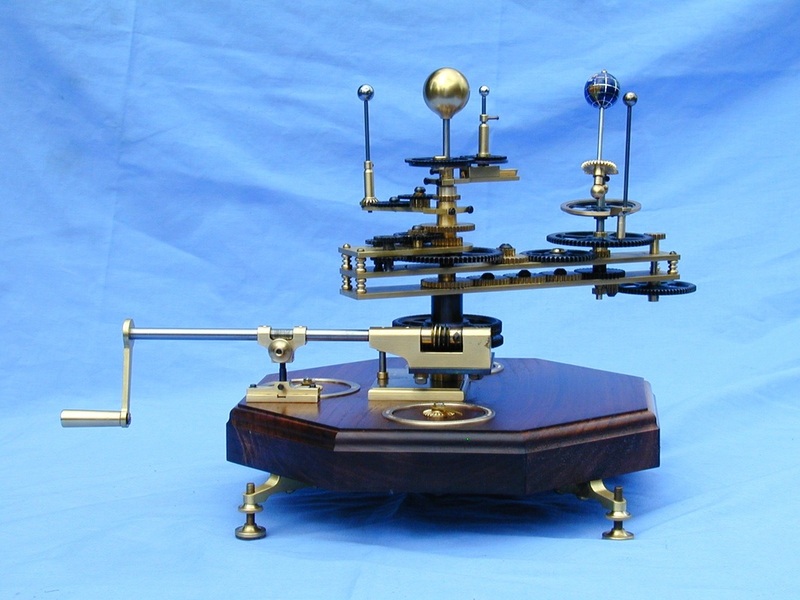 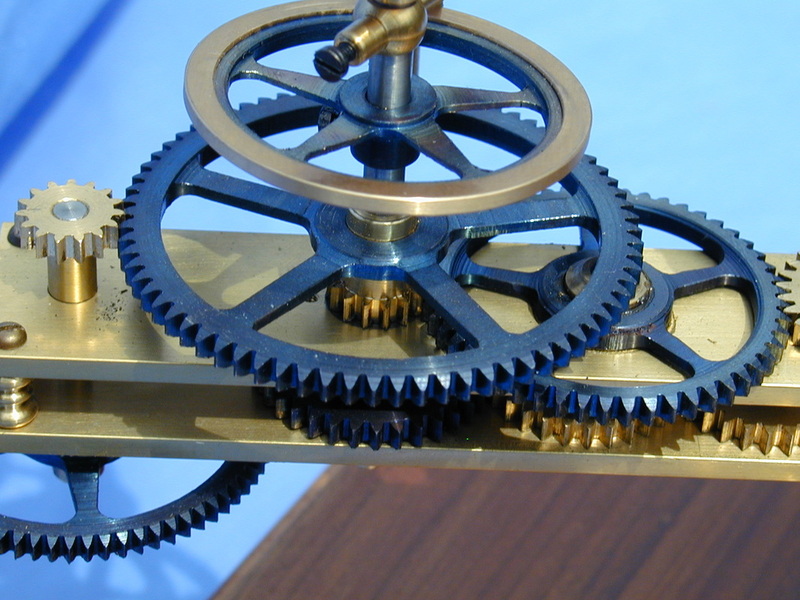 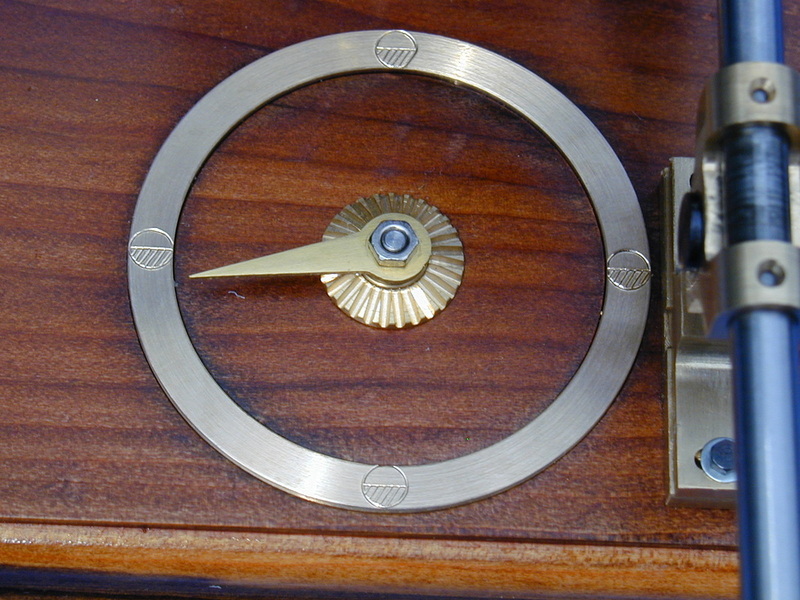 This Orrery features blackened steel gears chosen by the customer. 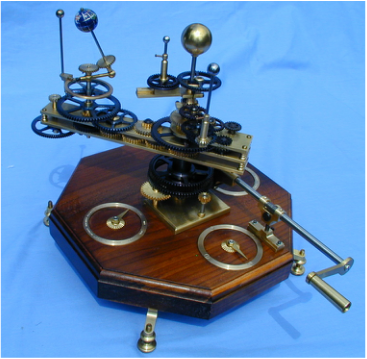 ​The Moon moves above and below the ecliptic as it orbits the Earth. 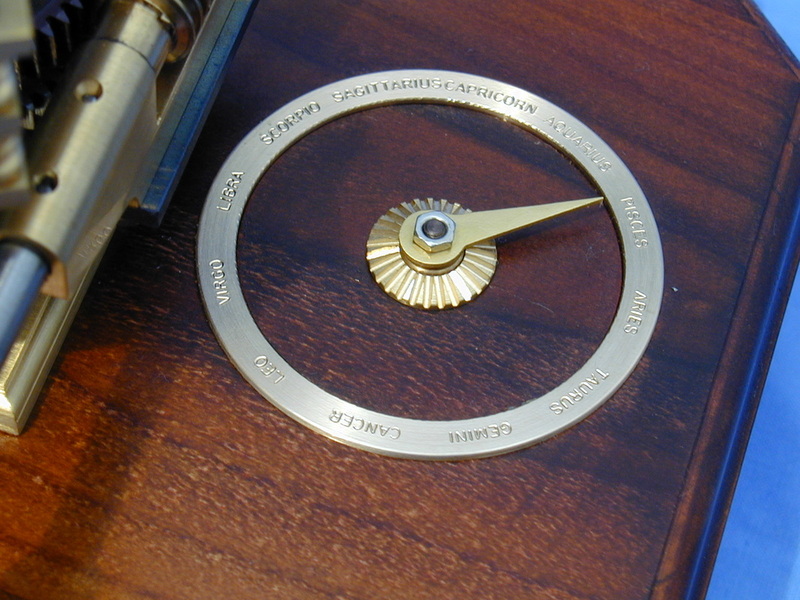 Chronograph style dials set into the base engraved with the months, Zodiacs and moon phase. 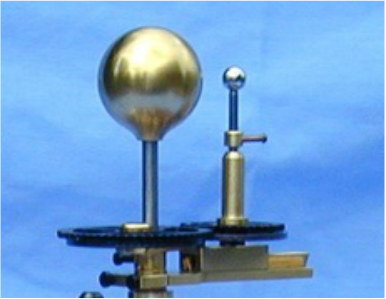 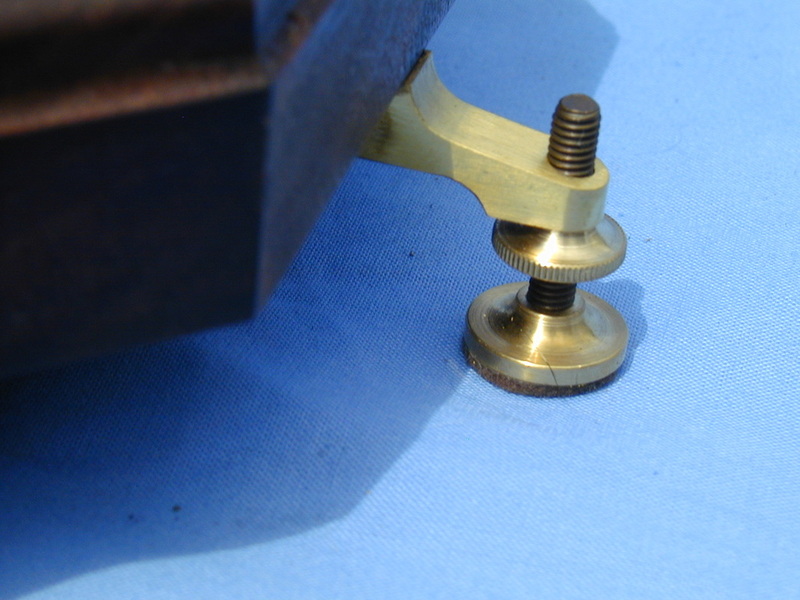 The base stands on four brass adjustable instrument legs.